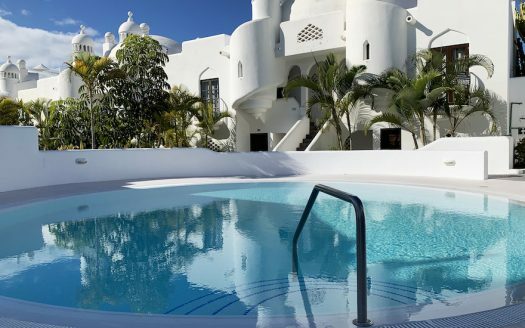 One-bedroom apartment with a private terrace for sale located in the Marina Palace complex in the Playa Paraiso area. Playa Paraiso is a small resort town. 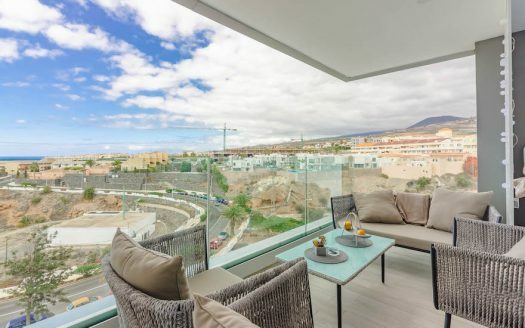 It is located in the southwestern part of Tenerife, 30 km from the South Rein Sofia Airport (TFS) and 90 km from the Northern Airport (TFN). The resort is included in the municipality of Adeje.